For those who don't know me. 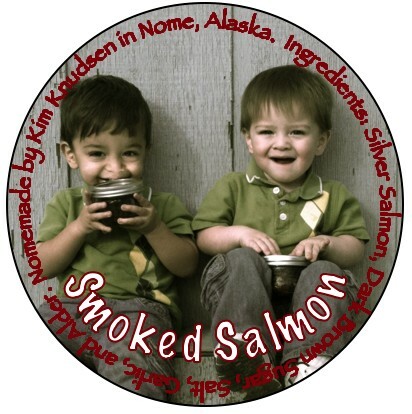 I make my own canning labels. 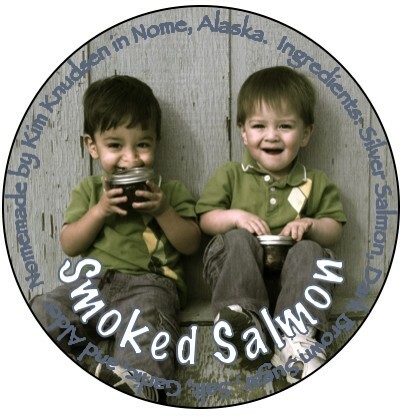 Today I decided to make new smoked salmon labels because the other ones are outdated. I can't decide if I want the blue lettering or the red and if I want the zoomed in shot or not. Please help me decide. 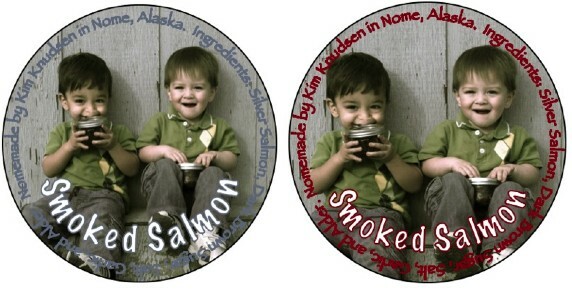 These are of my twins Aiden and Reese holding jars of smoked silver salmon.